Ms Haussegger is an award winning journalist, author and social commentator. In 2014 Ms Haussegger was made a Member of the Order of Australia for service to the community, as an advocate for women’s rights and gender equity, and to the media. With more than 20 years in news broadcasting, her work has taken her around the globe. Ms Haussegger has a long commitment to gender equality advocacy. 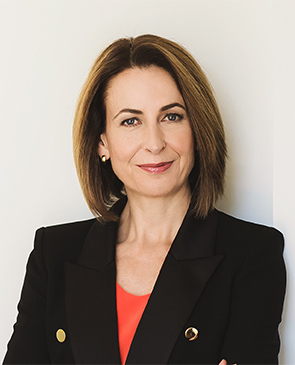 She is Adjunct Professor and Director of the 50/50 by 2030 Foundation at the Institute for Governance and Policy Analysis at the University of Canberra and has served on a number of boards and committees.